Whether your business has made a sustainability push or hopes to in the future, there’s no question that the topic is on everyone’s mind. 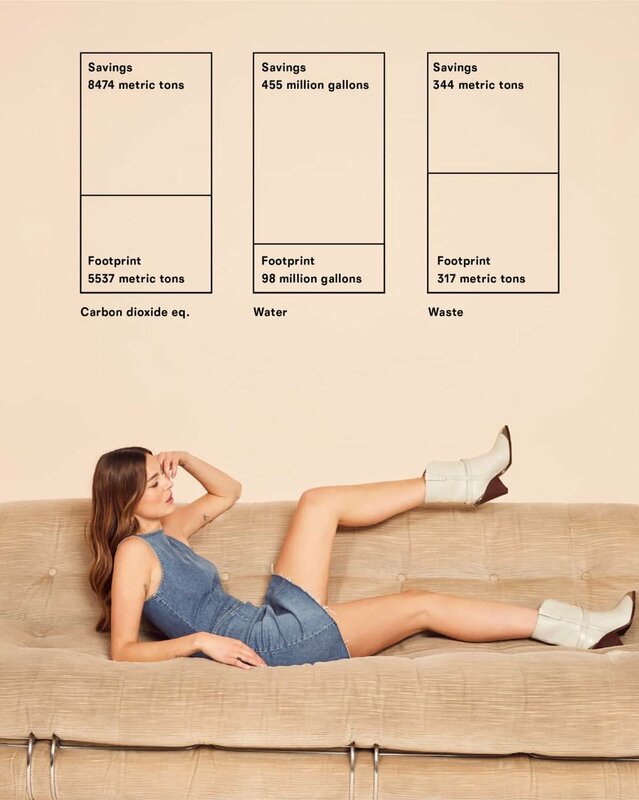 While there’s isn’t a clear definition of sustainability, there is a spectrum that brands are playing on. There are some companies that make it the focus of their business. For others, it’s a one-off, marketing tactic or simply a step in a new direction. Wherever you are on the chart, it’s important to understand what’s going on in the marketplace. As an entrepreneur, consumer or voice in the industry, you’ll have to decide what resonates for your life and business. 1. B. Corp certified, Athleta is more than a functional fitness brand and community outpost, they have a variety of sustainability initiatives. 2. Known for their radical transparency, Everlane gives consumers a peak into their supply chain and has been lately touting how some of their products are made from recycled plastic bottles. 3. Reformation seamlessly fuses design with sustainability in a light-hearted, youthful, fashion-loving way. Their sustainability reports are informative too. 4. Naadam goes into storytelling mode to talk about their cashmere. From fun facts, to their process and social and environmental impact, their communication helps set the brand apart. 5. Can a luxury handbag reseller be an answer to mindful consumption? The Real Real thinks so. 6. Known for so many admirable initiatives beyond the clothes, womenswear label Eileen Fisher is a pioneer in sustainability in the fashion industry. 7. Hermes, one of the ultimate luxury brands says their sustainability roots comes from their collective of artisans, but has also taken on new efforts like renewable energy and an investment in employee growth. 8. Being green is a passion for Avocado mattress and their communication strategy focuses on educating the customer. Have a favorite sustainable brand? Please let us know!